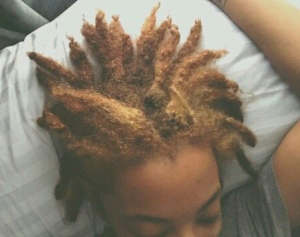 What will happen if you don’t use any products on your locs? Learn how your hair works and what will happen to your scalp. 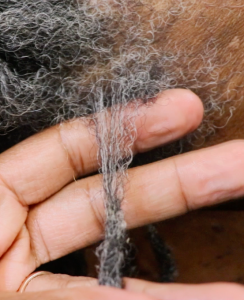 After watching the video, will you use products to retwist your locs? I’ve had a locs professional work with my hair from day one, but now I’ve moved and toying with the idea of taking care of my own hair. Isn’t interlocking another way to not use product? Yes and no. 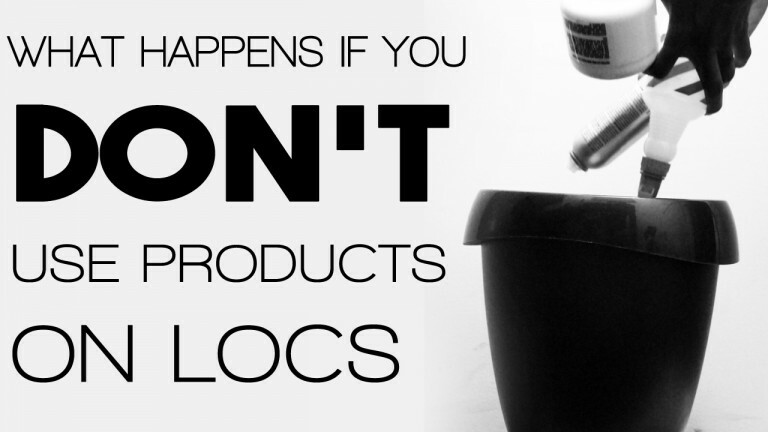 With Sisterlocks specifically, which is a form of interlocking, you are instructed not to use any products but with traditional interlocking, it is not the standard to avoid using products, rather a holding product is not used during maintenance because the hair is retightened to the root/scalp and you can still use oils in your daily regimen. Does that make sense? Or help answer your question? Yes. I do like using oil for the scalp. My last loctician used a wax for retwisting, but now that I’m on my own, I’d like to go as minimulist as possible (without looking like I was stranded on a desert island). Yes I will use my homemade flaxseed gel that I make myself using flaxseeds, rosemary oil. I am not a healthy eatier on a consistence bases. I’m working on improving my diet, and have definitely stepped up my intake of water, but still struggling to find the right moisturizers for my locs (shampoo-wise). Shea butter worked wonders – but thanks to you, I’ve learned that long term, this is not the best product for loc’d hair. Still experimenting (I do use daily spritz with distilled water, aloe, and rose water mix, and spray my scalp with rosemary water when it gets itchy). Well I have been loc’d for 17 months and in the early days I used so much product (Jamaican Mango and Lime) that I’ve got lots and lots of build up. For the past year I’ve been using the holistic approach so retwisting with flaxseed gel, moisturising daily with water and oils, ACV soaks, deep treatments. This has all helped. I must add that my locs are blonde so the struggle with dryness is real. However, the back end of last year I went onto your you tube and watched most of your videos and have now gone further into the minimalist route. 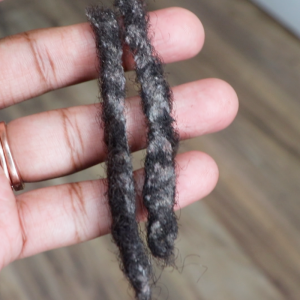 I started a no retwist challenge (after retwisting faithfully every 3-4 weeks), and it’s been 6 weeks no retwist. My new regime consists of moisturising with rosewater and jamaican black castor oil spritz, washing with Dr Bronners after reading your review – brilliant!! You were right. When I retwist I will just use oils and water instead of flaxseed gel or is aloe vera gel ok to use. Anyhoo, am rambling, just wanted to say that without your site I would still be doing everything wrong so thanks so much! You are amazing!